Dylan Thomas sired his second G1 winner in 24 hours when Italian superstar Dylan Mouth (4c Dylan Thomas-Cottonmouth, by Noverre) won the G1 Gran Premio di Milano at San Siro on Sunday. The four-year-old, winner of last season’s G1 Gran Premio del Jockey Club, took Sunday’s prize with the minimum of fuss. Jockey Fabio Branca eased into the lead two furlongs from home and cruised to a five-length triumph. 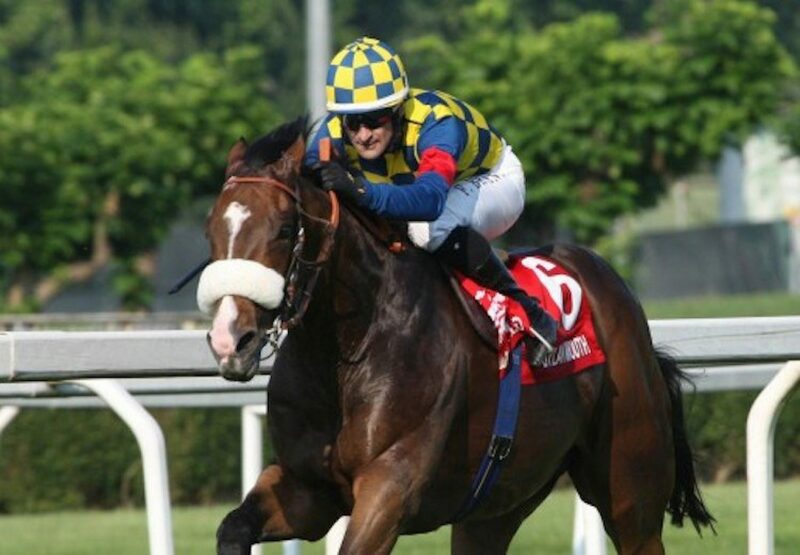 Owner Felice Villa now wants to bring Dylan Mouth to Ascot for the G1 King George VI & Queen Elizabeth Stakes in July. "I expected him to score in this way,” Villa told TDN. “He is a much more mature and stronger horse than he was last season and now he has nothing to prove in Italy. “The King George and Queen Elizabeth is the race we are dreaming about. Dylan Mouth got beaten when he first tried at Royal Ascot, last year in the G2 King Edward VII Stakes, but we have learned a lot from that defeat. "Last year everything went wrong and Dylan Mouth had a nightmare trip from an outside gate. Fabio now knows the racecourse and he won't make the same mistake twice." Bred by Azienda Agricola Mariano, Dylan Mouth has now six Group races, also including the 2014 Italian Derby. His victory came a day after Pether’s Moon (5h Dylan Thomas-Softly Tread, by Tirol) won the G1 Coronation Cup at Epsom for Dylan Thomas.